Firstly, let me just state the obvious... These girls are cute!! This new girl group are FRESH! Hailing all the way from Detroit, these 16-year-olds are definitely planning on leaving their mark in this Music Industry being the latest signed artists to SRC/Universal Records. 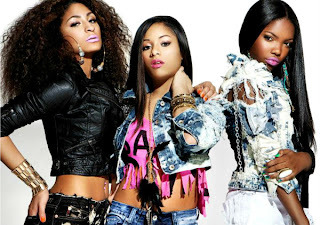 The group go by the name DollHouse but individually they're known as Jasmine, Gabriella and Ryan. I am looking forward to what they have in store for us, I'm sure we'll be seeing their faces on 106 & Park very soon. Check out their new single below.